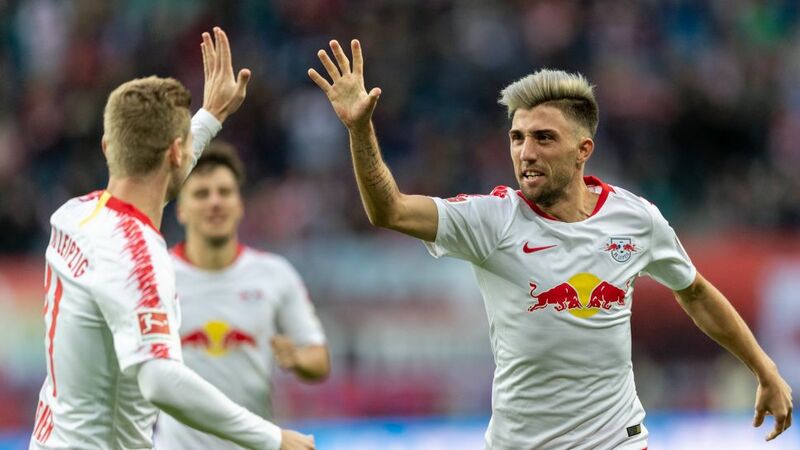 RB Leipzig midfielder Kevin Kampl has warned that both his team and their prolific attackers are only starting to fire after a tricky start to the season. Following a 4-1 loss to Borussia Dortmund on the opening day of the Bundesliga and a defeat against Salzburg in the UEFA Europa League, Leipzig have reeled off four wins in a row in all competitions. They now sit second in the German top flight and – in the wake of their 6-0 thrashing of Nuremburg – are also the second-highest scorers in the league with (16 goals) behind leaders Dortmund (23). Watch: Highlights of Leipzig's 6-0 thrashing of Nuremberg! Timo Werner, Yussuf Poulsen and Jean-Kevin Augustin have 11 league goals between them, while summer arrival Matheus Cunha has already found the net four times in European competition. Since the 3-2 home loss against Salzburg, Leipzig have gone on a five-game unbeaten run – scoring 14 times and conceding just three goals. Kampl believes that the Salzburg game “shook everyone up”, and that, in a way, it was a blessing in disguise. “We have incredible quality in the team,” the 28-year-old said. “However, we conceded too many goals at the start of the season. Especially defensively, we’ve improved enormously. However, the Slovenia international is cautious ahead of Saturday’s Matchday 8 trip to Augsburg. “There’s always room for improvement, but in recent games we’ve reached the maximum in terms of overall performance,” he said. Kampl and his teammates are all too aware of how tables can turn, after Ralf Rangnick and his American assistant manager Jesse Marsch introduced a punishment wheel this season for players who don’t follow club rules. “No, hopefully that won’t happen to me,” he joked. “It would be uncomfortable to have to do something like that in front of the team. Some players have already faced sanction for being late or using their mobile phones when they’re not supposed to, and Kampl says that the wheel has helped get everyone on the same page.